You may have heard already, but a blog post makes it official (right?). We're moving to Minneapolis! I'm gearing up to take my business with me to Minnesota and it's made me think back through the last two years in Alabama. I am so lucky I had the opportunity to start my business here and meet others in the community who get excited about local business, art, and the creative spirit. This city can be a hard nut to crack into if you weren't born and raised Montgomery, but there are plenty of warm, friendly people who want you to feel right at home. My first year of business would never have been as big or fun without the folks behind Helicity (Montgomery Street Fair!) and the ladies at Hue Studio. Thank you to all my local retailers and thank you to the best customers a girl could have! p.s. My online shop will be on vacation during our move, but you can still find my work at Montgomery retailers. I should be back online by late August. Thank you for your patience! Hello folks! 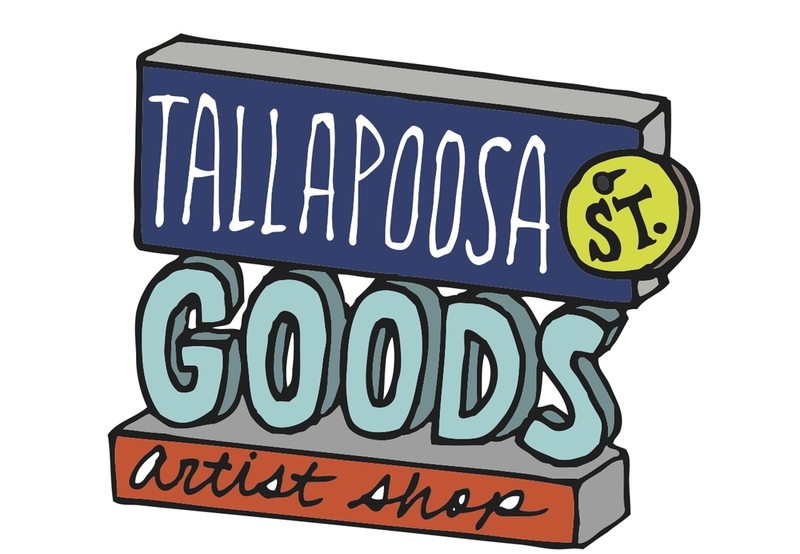 I thought I'd give you a little taste of what we're up to at the Tallapoosa St. Goods pop-up shop in downtown Montgomery, AL. There's plenty to choose from to scratch off names on your Christmas gift list. Here are a few ideas - all under $25! great for keeping your coffee warm! these handmade soaps definitely win "Best Named"
And there are more goods arriving every day! We now have over 20 local artists and artisans represented and we are restocking the shelves with new pieces throughout the day. The shop is open from 2-8pm on weekdays and 12-8pm on weekends, but since it's a pop-up shop, it's only here for a limited time (Dec 5-16). For more information, click through here or visit my Facebook page for more photos and updates.